A keyless entry door lock is an electronic lock that is able to control access to a building without the use of a traditional key. Instead, a keyless entry door lock is activated as to unlock or lock a door by utilizing a handheld proximity device or a memorized key code. The majority of keyless entry door locks will enable you to program multiple codes into the device in order to allow various of your family members and friends access to your home if you choose. Keyless entry door locks offer the opportunity of never having to carry heavy and noisy keys. You will not need to worry about someone losing their key to your home and in return, not of having to rekey your locks for security by a Spokane locksmith. Another great thing about keyless entry door locks is that if you decide that you no longer want a specific individual to have access to your home, you can just delete their keycode from the lock and it won’t work for them any longer. The traditional lock with key as well as the electronic door lock both have their pros and cons. When you use physical keys, such as metal keys and key cards, they can become lost or damaged. Changing a physical lock is a much more involved process that will require specialized hardware as well as expertise. In the meanwhile though, a numerical key code can be easily forgotten or lost if written down. Luckily, key codes can be quickly and easily changed by the residence owner. But, power failures are also problematic for a purely electronic entry door lock, causing it to remain in the locked or unlocked position as it was in when the electricity went out until it comes on again. 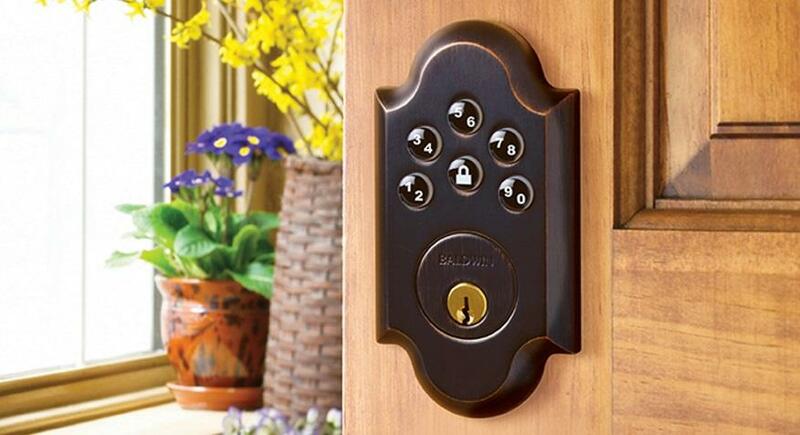 On many residences , you will find a combination of physical and electronic door lock control on the same door. For example, you may have a physical key for emergency backup, but use the remote or keypad to lock and unlock the door on a day-to-day basis. This set-up provides an convenience, safety and functionality. When you think it’s time for you to make an upgrade to keyless entry door locks, contact a residential locksmith in Spokane as professional installation is recommended for such type of lock installation.